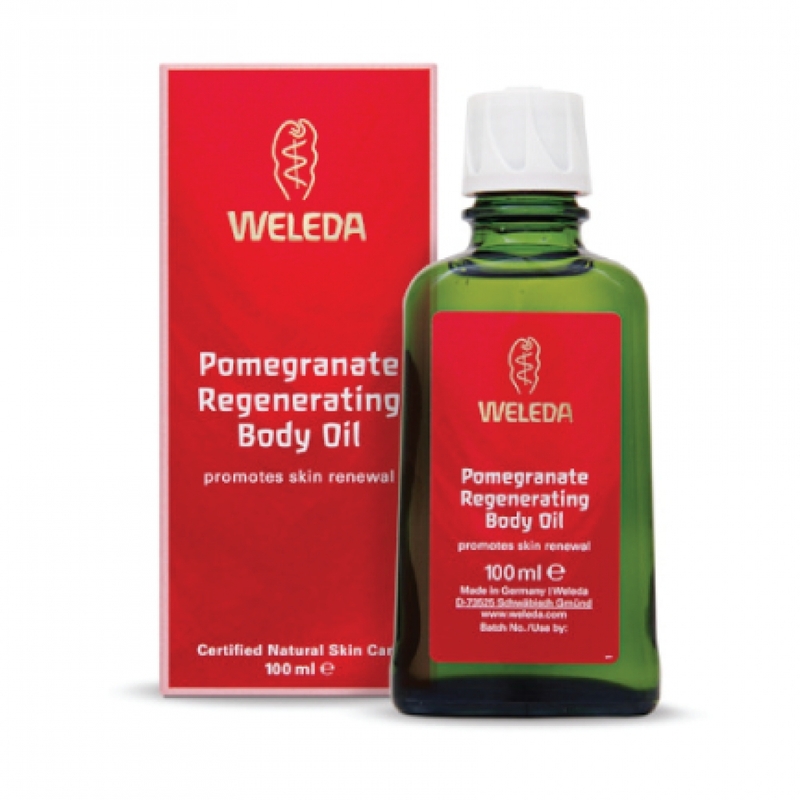 Weleda Pomegranate Regenerating Body Oil is an intensive, deeply nourishing moisturizer that soaks deeply into skin to restore its vitality with essential fatty acids and antioxidants. Organic pomegranate seed oil helps promote skin renewal and protect against skin-damaging free radicals. Organic jojoba seed oil preserves skin's natural moisture, acting as an emollient to nurture skin and improve firmness, while the sophisticated, all-natural fragrance from neroli and sandalwood pure essentials oils stirs the senses. Dermatological tests show that our regenerating Pomegranate Body Oil accelerates natural skin renewal by 50% in just two weeks*. 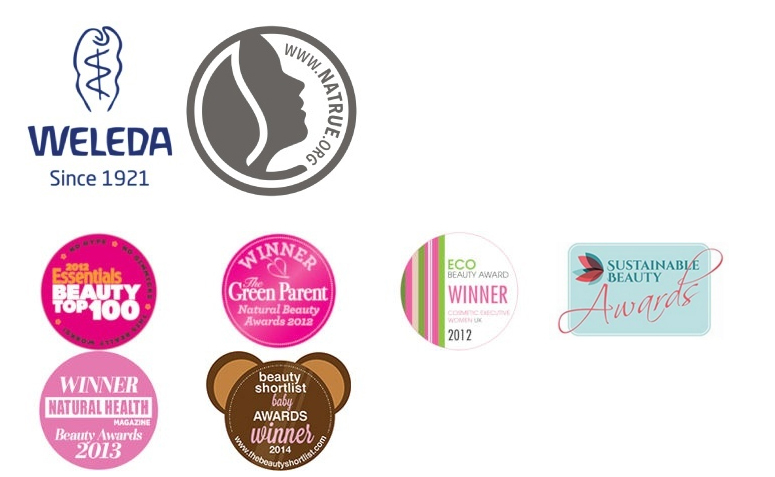 * Forearm patch test vs. control. Cell turnover in Stratum Corneum measured by Chroma Meter and Remission-Spectroscope, 20 subjects between 39–64 years of age, two-week product application, twice daily. Apply a small amount of Pomegranate Regenerating Body Oil to damp skin immediately after the bath or shower. Massage in a circular motion toward the heart until it is absorbed.